It’s important to be a responsible landlord. At Your Move we take safety regulations and legislation very seriously – it helps to protect both our tenants and our landlords. Here we outline the key safety regulations and landlord responsibilities when letting out a property. A Gas Safety Record (GSR) is in place to ensure that all gas appliances, pipes and flues are in safe working order. It must be carried out by a qualified Gas Safe Register engineer. This needs to be checked every 12 months. 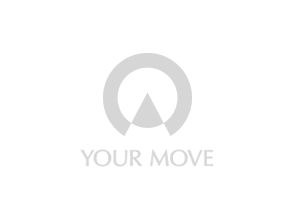 Your Move removes the stress by arranging this for you. If you are furnishing your rented property, you must ensure that all furnishings comply with these regulations. Your Move can give advice on which furniture items will be compliant, and all compliant furniture must display standard labels in a prominent position. This is to reduce the risk of fire within the property. Introduced as part of the Housing Act 2004, the HHSRS allows local authorities to assess the condition of the property and any potential hazards. The aim is to maintain good standards in the private rented sector. Your Move can help you understand how this legislation may apply to your property. Landlords and letting agents are required to register a tenant’s deposit with an approved Tenancy Deposit Scheme. A Tenancy Deposit Scheme protects the tenant’s money and can help to resolve any disputes at the end of the tenancy. At Your Move, we register deposits with a scheme such as My Deposits. We will handle the administration of the protection of the security deposit and provide your tenant with all the details of the scheme. An Energy Performance Certificate, or EPC for short, is a report detailing the energy efficiency of a property. It gives a property an energy efficiency rating from A (most efficient) to G (least efficient) and is valid for 10 years. All landlords are required to purchase an EPC for a property before they let it. It is also a requirement that letting agents display the EPC when marketing the property. If a property does not have an EPC when marketed, the landlord and the agent risk a fine. When you let a property through Your Move we can help you obtain an EPC for a small additional charge. Ask in your local branch for more information. When you let to sharing occupants who are not a family group you will need to comply with rules around Houses in Multiple Occupation (HMO). Read more about HMO rules. There are specific tax rules for overseas landlords - find out more. As a landlord you have a duty of care to your tenants to make sure your water supply is working properly to protect them from Legionella - find out more about Legionella. Regulation has been introduced which requires all landlords – with properties in England - to have at least one smoke alarm on every storey of their properties - even where only a bathroom is located. And, if any room contains a solid fuel burning appliance, such as a wood burning stove, a coal fire, an open fire place or where biomass is used as fuel, a carbon monoxide alarm has to be present. The alarms must be correctly checked on the first day of any new tenancy but it is then the responsibility of the tenant to regularly check the alarms are in working order - the Department for Community and Local Government recommend once a month and, if they are not working, report it as a maintenance issue. There’s more to read at our smoke alarms regulations page. A new tenant should always receive a Department of Local Government and Communities How to Rent Guide at the start of their tenancy from their lettings agent which gives practical advice about what to do before and during a let. A Guide which the tenant must confirm they have seen at the start of a new tenancy. The Guide is available via gov.uk or for further information simply ask your local Your Move branch. The Right to Rent scheme, which helps to make sure that people renting property in the UK have a legal right to be here, was rolled out across England in February 2016. At Your Move we’ve been doing this as part of our referencing process for many years, but if you carry out your own checks you will now need to make sure you get an acceptable proof of residency or risk a fine. If we don’t currently handle tenant checks for you, we’d be very happy to discuss how we can help you with this.